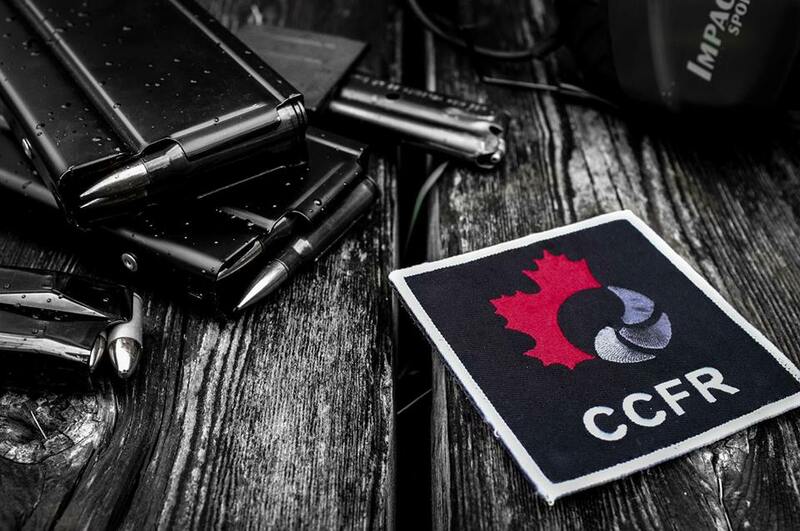 The CCFR is the most active and innovative firearm advocacy organization in Canada. The CCFR is a completely different group in that we are a public relations organization that focuses on both educating non-gun owning Canadians on the topic and representing gun owners in a positive light. Trade shows: since our inception, we’ve sponsored booths at over 120 shows across Canada; spreading the mandate of the CCFR and reaching out to the general public. Our approach has been welcoming and educational, introducing firearms and their owners to non-gun owning Canadians. Produced a CCFR YouTube channel with update videos, educational resources for all firearms owners to use and access. Developed Gundebate.ca – a repository of information, resources and statistical data for all firearms owners to use. PSA announcements detailing some of the unfair and damaging legislation Canadian firearms owners face. We had impressive analytics on these PSA’s, with over 253 000 people reached. Countless radio, TV, print and web interviews with Rod Giltaca and Tracey Wilson shedding a positive light on gun ownership in a mature, rational, likeable manner. These include CTV National News, CBC’s The National and more. Front cover of 7 national newspapers display Tracey Wilson and her “Gun Goddess” story, shedding light on women in the shooting sports and dispelling the myths created by media. This is the first time any firearm organization has had front page, positive, national coverage. Live streamed our AGMs, and offered secure online voting so every member could attend, and participate regardless of geographical location. The CCFR is the first to provide this opportunity and transparency to its membership. The CCFR is fully compliant with the NFP Act including up-to-date financials available upon request, another first. Have recruited over 250 Field Officers to help attend shows and events. Supported the approval of new ranges by attended city council meetings. Published an “open letter” to Crime stoppers LEM regarding their offensive billboard which was subsequently removed and an apology issued. Released an official press release to advise Canadians about the RCMP opinion on the Ruger 10/22 mag issue and attended a multi-org planning session to discuss ways we can work together to fight this decision. The CCFR is committed to working with and alongside other orgs for the benefit of firearms owners. Lobbyist Tracey Wilson meeting with the Minister of the Status of Women in Canada to discuss the evolution of women in our sport. Developed a comprehensive insurance program, including $5 000 000 liability policy for ALL members, at no extra charge, a legal advice insurance product so firearms owners can get the tough questions answered by the most knowledgeable firearms law experts for a nominal annual fee ($16), and legal defense ($92) insurance that protects firearms owners from prosecution, using the most respected and knowledgeable legal team in Canada. Launched the CCFR Gunnie Girl calendar program, comprised of women who are members. With women quickly becoming the fastest growing sector of the shooting sports, the CCFR has launched an exciting new fund-raising initiative to support women’s programming and education. The “CCFR Gunnie Girl Calendar” is a creative, fun way to highlight some of the classy, Canadian women who are trail blazers in our community. This year’s calendar features Olympic hopefuls, political figures, media personalities and the girl next door. CCFR Board Members were the originating signatories on the infamous AR-15 E-Petition, an MP sponsored parliamentary petition that gained the highest number of signatures (at that point) of ANY petition put before parliament with a staggering 25 000+ names. Organized and recruited ranges outside Fort McMurray to harbor victims of the 2016 wild fires, the Gatineau floods and worked with the CFO on the BC wild fires, giving them a safe place to go and bring their R and NR firearms, their families and belongings or offering temporary safe storage to evacuees. Many firearms owners were being turned away from shelters if they arrived with their firearms with them. Attended the CPC Leadership debate in Ottawa, where Tracey Wilson was the first to address the candidates and asked the only firearms rights related questions. CBC covered the event. The CCFR launched the “Explainer video” series, an innovative new set of 2 minute videos that are highly shareable, short and drill down into issues that affect gun owners. This was a $120,000 public outreach program, the largest firearm related PR campaign in Canada’s history. Developed and distributed an “across the playing field” questionnaire for candidates of the CPC Leadership race to fill out and return. The data collected from this form will help us populate the easy to understand and highly shareable “CCFR Report Cards” we will produce for each candidate on their stance regarding the firearms file. Met with candidates face to face at the House of Commons and other events. The CCFR is the only organization meeting with Public Safety on a regular basis to help guide & navigate legislation and delay unfriendly initiatives like the UN marking scheme and Bill C-71. National title sponsors of Project Mapleseed, a national Canadian marksmanship program. Sponsored Olympic hopeful and Team Canada member, Mary Patrick on her journey to the 2020 Olympics and international shooting events. The CCFR has entered into an advertising agreement with Wild TV to highlight the issues facing Canadian gun owners. The goal is to unite all gun owners and to encourage them to become active. Personally interviewed the current Conservative party leader Andrew Scheer and runner up Maxime Bernier. The CCFR is in the process of filming the first television show in Canadian broadcast history to feature target and sport shooting. This show will air October 2018 nationally on WildTV and is called “The CCFR’s Canada Down Range”. Canadian gun owners have never had an opportunity to be humanized on national TV before and the CCFR is just the organization to make this happen. Launched an initiative specifically against Bill C-71 comprised of a grassroots campaign to organize political action as well as an unprecedented online campaign of viral one-minute political videos designed to exert pressure on legislators. Hosted a firearms roundtable on Parliament Hill with 7 MP’s and accompanying staffers concerning Bill C-71. Participated in a 23 interview marathon through CBC Syndication where the concerns of gun owners was heard form coast to coast. We have adopted reasonable and logical policies with an emphasis on safety, education and historical data. We are a media savvy, professional, rational organization that is leading the future of firearms advocacy. Our mandate of advocacy through education has sparked the largest public relations campaign on firearms ownership ever, bringing the topic to the forefront where it can be dealt with in an honest and forthcoming manner.